Chocolate time…the kids will love it! We are just so excited about Easter because we love chocolate at Four Frogs! 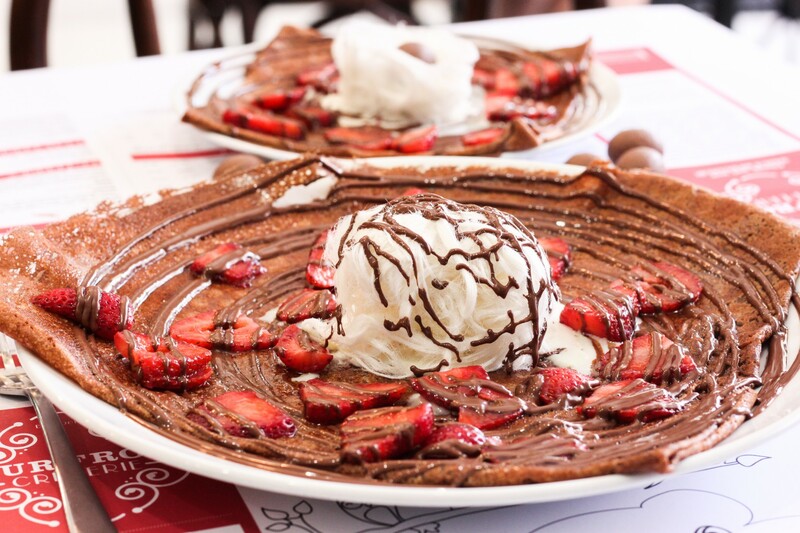 For the first time, we have tried to put chocolate IN the crêpe batter itself, and guess what… it’s delicious! Don’t worry, it’s Easter, so there will also be chocolate ON the crêpe! As well as strawberries, ice cream and fairy floss (yes… why not!). And for the little ones, there will also be a chocolate egg on the top! Chocolate batter crêpe with Nutella, Strawberries, vanilla ice-cream & fairy-floss. $15 adults ; $9 children. Available during Easter only, from Thursday 29 March to Monday 2 April. As we love Easter, we have decided to stay open the whole time.